The first three months of 2016 on the metropolitan office market saw a record volume of supply in three years, i.e. a total of 113 000 sqm delivered in six office buildings. This resulted in an increase in the vacancy rate, which at the end of the quarter was at the level of 14.1%. 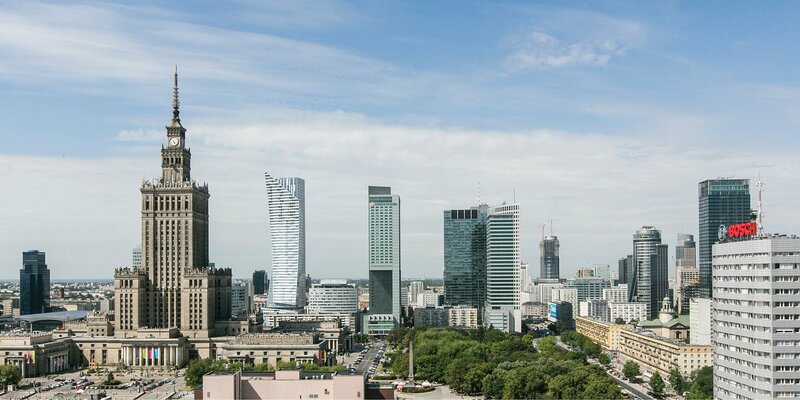 The volume of supply on Warsaw’s office market amounted to more than 4 751 000 sqm and it is highly probable that by the end of the year it will exceed 5 million sqm. According to the latest Warsaw Office Market View Q1 2016 drawn up by CBRE, the most active tenants in Q1 hailed from the industrial sector (28% of space leased). Amongst the businesses that entered into lease agreements in the past three months there was also a large number of those from within the professional and financial services sectors (14% of space leased each). The more active the market and the greater the available volume of space offered, the more active the tenants as they are able to see the benefits of moving to more convenient locations and into more attractive office buildings. Despite the fact that our market is still a relatively young one as compared to the rest of Europe, Warsaw ceases to be seen as a developing market and it is increasingly referred to as a mature market. Admittedly, the most developed European markets are a few or even several times bigger than Warsaw in terms of the volume of supply, however, we are now closing in on cities such as Amsterdam (6.7 million sqm) and Copenhagen (5.8 million sqm), while at the moment Warsaw already has more offices than Lisbon, Geneva and Dublin. As a result of the oversupply, rents have already reached a very low level. Prime office space is currently leased for 23.50 EUR/sqm/m. It is possible that over the coming months we will see further reduction in asking rents for office space, however, they should not go below 23.00 EUR/sqm/m. This trend should not reverse before next year.